*** All features are availabe to every package uppon request, some extra charges may apply for any extra feature(s) added to a basic package. Setup and configuration of basic features is always free! D1Scout accepts standard checks, online checks and secure online payment through Visa, Mastercard, Amex, Discover and Paypal. Use our Price calculator to determine various monthley and anual costs per team and per player. Note: ALL levels of Sites except where indicated. include 10 teams per sport. Bronze, Silver & Gold levels only allow up to 12 players per roster by default. * Tournament manager is a separate application and is available for all service levels for an additional fee. Easily post the latest program news and team updates at your D1Scout website. If you can send an email or use a basic word processing program, you can create professionally formatted news articles, complete with photos, in a matter of minutes. Create complete team and program schedules in a matter of minutes. Our intuitive interface lets you add games, practices, tournaments and other team events to your site schedule to keep everyone on the same page. We also provide an active database of over 225,000 venues across the US, so with a couple keystrokes, you can find a location and the system will lay it into your schedule, complete with directions. See Venue Manager. The schedule section also provides a full calendar view to monitor upcoming events at a glance. Create comprehensive player profiles with ease, including vital stats, photographs and a wide range of additional criteria including GPA, SAT scores, game and season stats, and more. If you choose, players can also post custom season highlight videos for visitors and recruiters to view. In every case, you determine what information can be viewed publically, or by designated members only (eg: coaches, players, parents, recruiters, etc.). Efficiently manage a full database of coach profiles and present bio pages at your site, complete with photo, contact information, accomplishments, distinctions and credentials. The D1Scout Venue Manager takes the guesswork out of getting to games and team events for parents, players and fans. By clicking details for any event listed in your schedule, the host venue address and contact info is displayed along with a link to print directions through Google maps. For tournaments and overnight trips, you also have the ability to post specific information for accommodations and travel arrangements to ensure everyone in your program makes it to the game on time. The D1Banner Builder helps you create a professional looking banner for your website in minutes. Through a simple process, you determine the team name, colors, sport logo and mascot for your site from the broad menu of images and styles in our database. Post game and match results to your site as they happen from any computer with an internet connection. D1Scout's automated email notification system enables administrators to send real-time updates to program members and parents, including game cancellations due to weather, venue changes rescheduling information and more. No more last minute phone call chains or miscommunications. With the click of a button, administrators and coaches can quickly send email alerts to everyone affiliated with their program. Our Scheduling feature on D1Scout also allows for practices to be scheduled and to be displayed on your website. Clicking on a particular month will display all of the events of your team including practice times, length of session, and location. Post high-resolution video of your team in action. Videos can be leveraged for a variety of purposes, including creation of team and player highlight reels for marketing and recruiting, game prep and player film sessions, as well as full game and season libraries available for purchase through your site. As with the photo gallery, a portion of all sale proceeds goes directly to your program. Enables team personnel (and parents if permitted) to post high-resolution images of your teams in action directly at your site. Put and end to parents and fans having to exchange rolls of film or email massive photo files to one another. We also provide the ability for visitors to order their favorite prints in a range of sizes right from your page. And with each order, your program receives a significant portion of the proceeds. Manage player registrations and other required forms directly through your D1 site. Determine prospect status (accepted, denied, pending), assign players to rosters and manage personal information simply and efficiently. Eliminate the need for time consuming sign-up sessions and unnecessary paperwork. We also facilitate collection of required player fees through Secure Online Payment. D1's Advanced User Management let's you and your coaches decide who has access to all program information and delegate site management responsibilities to program members, including coaches, managers and administrative assistants. You can also permit parents to load specified information, including photos and video, for display at your site (following your approval, if desired). Maintain complete game and player statistics from a single location. You also determine whether stats can be viewed publically, or only by designated members (eg: coaches, players, parents, recruiters, etc.). We all know revenue is a critical component of taking your program to the next level. Through your D1 Team Store, you can market a full range of team gear and merchandise including t-shirts, sweats, shorts, hats, accessories – basically anything you can think of. And all proceeds go direct to your program’s bottom line. We also facilitate fast Secure Online Payment. D1 can provide your program with an integrated email account for your players and program members. Email addresses can be managed as a standalone through your site, or easily directed to members’ existing email portals, such as Yahoo, Gmail, AOL, etc. An email address is a requirement for D1 members, and this service enables each member of your program to stay connected to your program with minimal effort. The D1 email interface is also simple to use, and offers a great option for members who do not already have a personal email address. Our preferred format for member addresses is first name.last name@d1scout.com. Any level of service can have Access to the Tournament Manager for a small fee. With the D1Scout Tournament Manager a team can plan, set up, and manage a tournament more efficiently and effectively than ever before. The Tournament Manager will give you the ability to generate tournament brackets, schedules (which are easily printed), scores, stats, updates, and standings to be displayed right on your own web page. This feature will allow those who view a player's bio page to select a video segment of game footage. This will allow friends, family, and college coach's to view highlights of the player without ever attending a game. Having video of each player will also allow for future review and assessment by the coaching staff all through your D1Scout website. Communicate with players, coaches and parents instantly using D1 text notifications. Send real-time program updates and scheduling changes direct to members’ cell phones (requires valid member account). 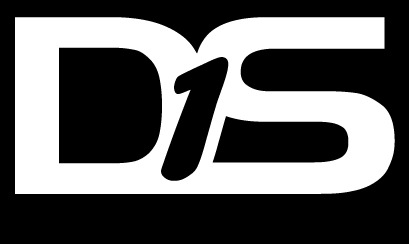 D1 Scout can quickly set you up with an account to accept secure online credit card, PayPal and e-check payments through your site for a range of purposes, including accepting player registration fees, selling merchandise through your team store and accepting contributions for online fundraising campaigns. Through our payment interface, cleared funds are deposited directly to an account of your choosing at the close of each executed transaction. D1 provides functionality to help you build and manage effective fundraising campaigns for your program. Post campaign goals and progress, accept contributions through your website with secure online payment, send automatic receipts to contributors for tax purposes, recognize leading contributors at your site and outline how the funds will be used to enhance your program. We are also working to deliver a full kit of resources to help program administrators run an effective campaign, including letter, email, and direct mail templates for supporter outreach. Fully integrated StoreFront. Including Inventory, Pick-Pack Order entry, Shopping cart, Credit card transaction, items on hand, Inventory depletion and replenishment. Manage your seasons quickly and effortlessly with the D1Scout season manager. Keep an active history of all your schedules, results, rosters, and information. Build a community of former players by allowing them to visit and see their team mates and accomplishments. Contact your team, your parents, or even registrants with important information or upcoming events. D1Scout gives you the ability to easily communicate with your members via email and text messaging (Text messaging is based on an opt in method if the participant indicates their cellphone or parents cellphone accepts text messaging during registration.). In addition if you are an Administrator, you can communicate with all members or subsets of members with our easy to use efficient email notification modules. Modules are available in key sections, Rosters with players and parents, registrations that can be filtered based on age, location, gender, graduation year etc..., Scheduling allowing you to inform players and parents of a schedule change or location change. Don’t get buried trying to contact all your players and parents. Let D1Scout handle that for you with a click of a button.